To fully understand the usage and cleaning recommendations, you will need some preliminary information about our manufacturing process. 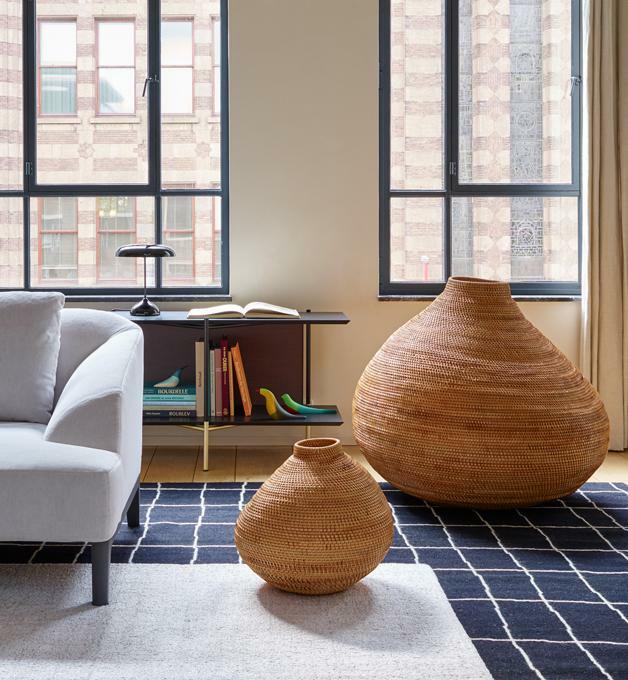 Founded in 1860, amid the rural landscapes of Bugey, France, Ligne Roset has long been concerned about the environmental impact of its industrial operations. Long ago, the company stopped using foam made with CFC’s. The composite wood boards, which account for a very large portion of our sofa frames and are the main component in our other furniture, comply with all regulatory limits on formaldehyde content. We have reduced our consumption of petroleum products considerably by using offcuts from these boards to heat our main furniture manufacturing site. In assembling sofa frames and attaching foam cushioning, the only adhesives we use are in an aqueous solution, which helps to prevent the emission of solvents into the atmosphere. These adhesives do not contain formaldehyde. Most of the finishes on our enameled or veneer pieces contain only low levels of solvents or none at all. A solvent management plan has been in place at the finishing plant since 1994, which makes it a pilot site among surface treatment facilities. Azo dyes are banned from the cloths and fabrics used to cover our sofas and chairs. Lastly, a very dynamic, proactive sorting and management policy allows the company to use more than 90% of its production remains: foam, polyester padding, fabrics, Alcantara, leather, cardboard, solid wood, metal parts, and chips are reused in industrial production and are not thrown away. In conclusion, faithful to its rural roots, Ligne Roset was able to anticipate environmental protection problems; and thus continues to play an active role in sustainable development. Solid wood is obtained by cutting a tree trunk into blocks which are then dried, leveled, trimmed, cut lengthwise and assembled. Wood easily absorbs ambient moisture, which alters the thickness of fibers and causes warping perpendicular to their axis. When working with solid wood, it is, therefore, necessary to compensate for this by using assemblies that can absorb these variations. 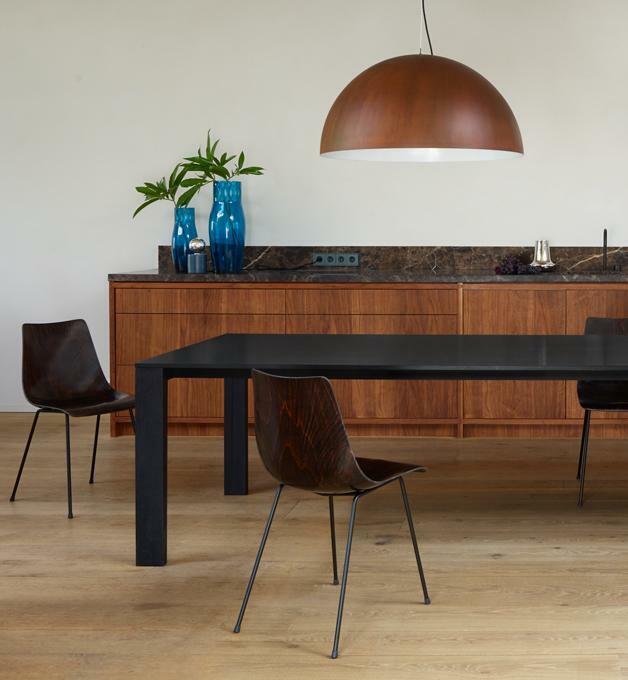 Depending on the species of tree, such variations can make it difficult to apply sophisticated finishing products such as enamels and hard varnishes. Multi-ply plywood consists of thin sheets of wood, built-up one-on-top of the other, each with its grain at right angles to those of the adjacent layers. This alternation and the use of adhesive keep moisture from penetrating the wood and ensure better resistance to warping. Particle board consists of chipped wood particles combined with glue to form a compound that, when firmly compressed and sized, will form the board. Its structure consists of 3 layers with differing compositions and densities: an inner layer (half the board’s thickness) made of relatively coarse chips that are not very dense, and 2 outer layers of finer, denser particles that provide rigidity, smoothness, and geometric stability. Any minor stresses caused by moisture are neutralized. Fiberboard is made by combining dried wood fibers with a binding agent and adhesive under pressure at a high temperature. It has 2 smooth sides and consistent density. Fiberboard supports the most difficult types of machining: molding, routing, etc. This material is highly compatible with all liquid finishing products: paints, enamels, stains, and varnishes. Laminboard is manufactured using resin-impregnated cellulose sheets. The resulting combination is bonded to particle board in a hot press. Laminboard surfaces are hard and resistant to wear, scratching, impact, water, light, cleaning and moderate heat (under 356°F). Oriented Strand Board (OSB) panels consist of long strips of softwood arranged in 3 cross-oriented layers. Careful orientation of the strips and progressive hot pressing give the panel characteristics of exceptional stability, cohesion, and mechanical performance. Its irregular surface quality requires the application of a laminate before any finishing treatment. Cellular board consists of 2 panels bonded to a cardboard core of cellular construction, stabilized with reinforces. This means its thickness and weight are exceptionally suitable: they facilitate handling during product assembly while retaining remarkable technical properties. 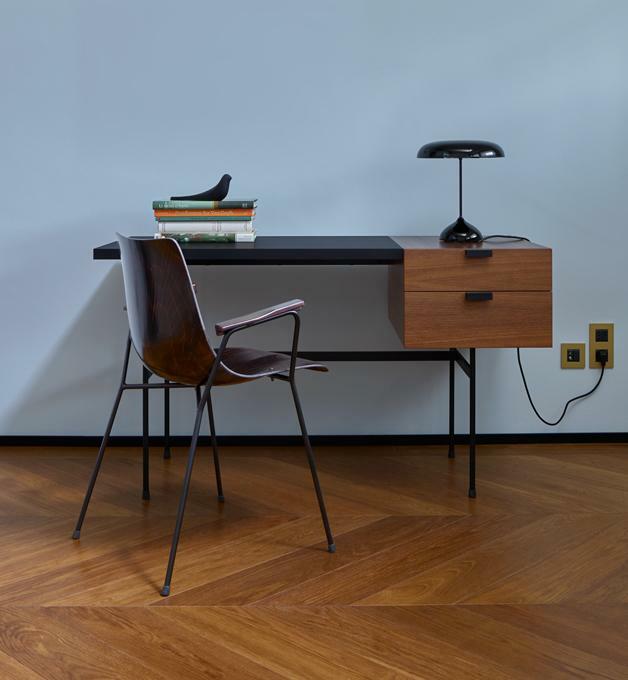 All boards used by Ligne Roset in manufacturing its furniture comply with European Community regulations and bear the seal of the official testing laboratory, FCBA. Solid wood, multi-ply, particle board, fiberboard or OSB: for each furniture part, Ligne Roset chooses the material best suited for the task at hand. All products used are rated E1, which means they have very low formaldehyde emissions, and E 05 in the case of particleboard and fiberboard. A veneer is a 6/10mm slice of wood. It is glued to particle board or fiberboard in a hot press. Veneers are a technique that makes it possible to combine the appearance of real wood with the smoothness and stability of composite boards. Its variations in hue and appearance are typical of the living material that is wood. Fine-line veneer is created by peeling natural wood and processing it with advanced technology. Once it has been sliced, this veneer reproduces the varied aspects of wood (grain, slabbing, etc.) without the irregularities found in nature. This technology makes it possible to obtain homogeneous veneers with consistent hues and structures. Each species of tree grows according to the laws of nature, which affect its appearance, color, size and consistency. Therefore, veneers cannot offer the uniformity seen in synthetic materials. Also, certain irregularities cannot be avoided. Differences in reflectiveness due to the contours and direction of the grain are among the most common examples, and cannot be considered a manufacturing problem. This structural panel consists of 2 sheets of anodized aluminum 1mm thick, attached to an aluminum core of trapezoidal construction. The resulting sandwich composite has exceptional mechanical properties in terms of flexibility and compression given its minimal thickness. The glass products we use are made to the highest tolerances. Most of the glass is tempered, laminated or filmed, with all the related safety benefits. The thicknesses used are more important than the recommended specifications. Tempered glass is made from a glass sheet that has undergone a special thermal treatment at a temperature of 1202 to 1256°F, followed by rapid cooling. Tempered glass is particularly resistant to mechanical stress (bending, impacts, etc.) and thermal shocks. This glass is thus 2 to 5 times stronger than a single-thickness glass of comparable total thickness, and can bear the stress of heavier loads. Tempered glass is, however, fragile when struck edgewise. In the case of breakage, tempered glass will fragment into small, non-jagged pieces that limit the risk of injury. Any tempered glass showing signs of splintering or very deep whitish scratches should be replaced to avoid the risk of breakage. Laminated glass is made of two glass components joined by a film of PVB (polyvinyl butyral) which is bonded to the glass using pressurized heat treatment. This film holds the pieces in place if the glass is broken. In filmed glass, this principle is used on glass whose technical properties make tempering impossible; in these cases, an adhesive film is applied to the back of the glass. This keeps splinters from scattering if the glass shatters. Enameled glass is tempered glass that, before treatment, is coated with an enamel that vitrifies at the temperatures reached during heating, before tempering. 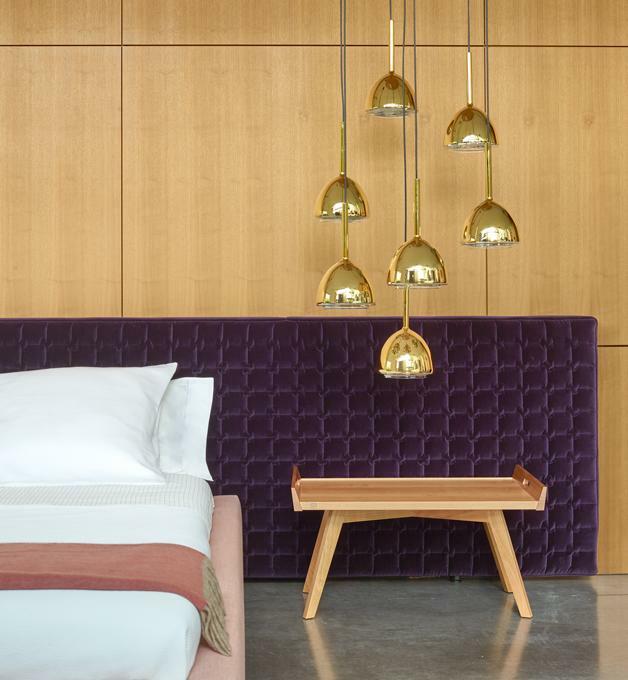 The varnishes and enamels used by Ligne Roset are ultraviolet cured; i.e., after application, they form a film that hardens under ultraviolet radiation. These solvent-free products are applied by contact with a roller, ensuring that no pollutants are released into the atmosphere. The enamels are applied to boards pre-coated with a layer of melamine, which makes the surface harder and smoother. The varnished and/or enameled products go through a series of tests: mechanical resistance (adhesion, scratch resistance, surface hardness), etching (acetone, alcohol, household ingredients) and aging (cold check test and accelerated ultraviolet test). On all Ligne Roset products, the finished surfaces’ strength characteristics meet the strictest European standards. The beauty of your furniture is not just a function of its design but also of keeping the surfaces of its components in good condition. Beware of scratches! 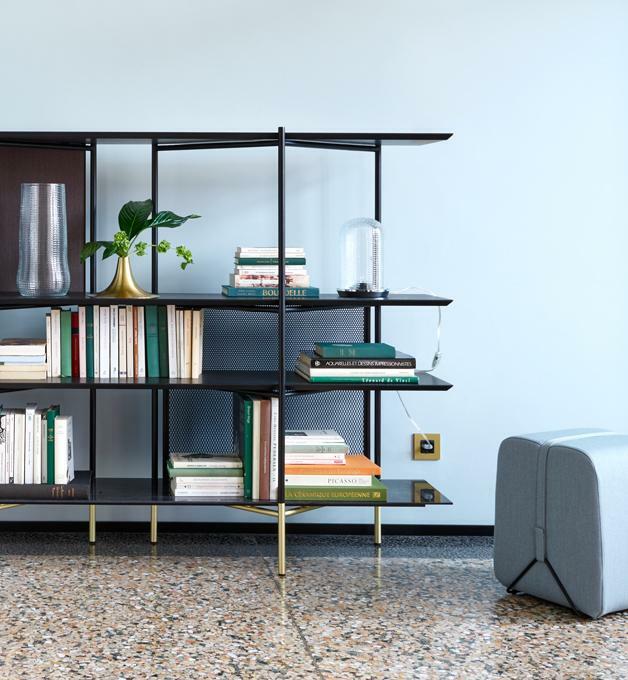 Though Ligne Roset is a leading researcher dedicated to making its materials resistant to physical damage, those materials can still suffer irreversible harm from friction with harder substances (metal, porcelain, etc.). 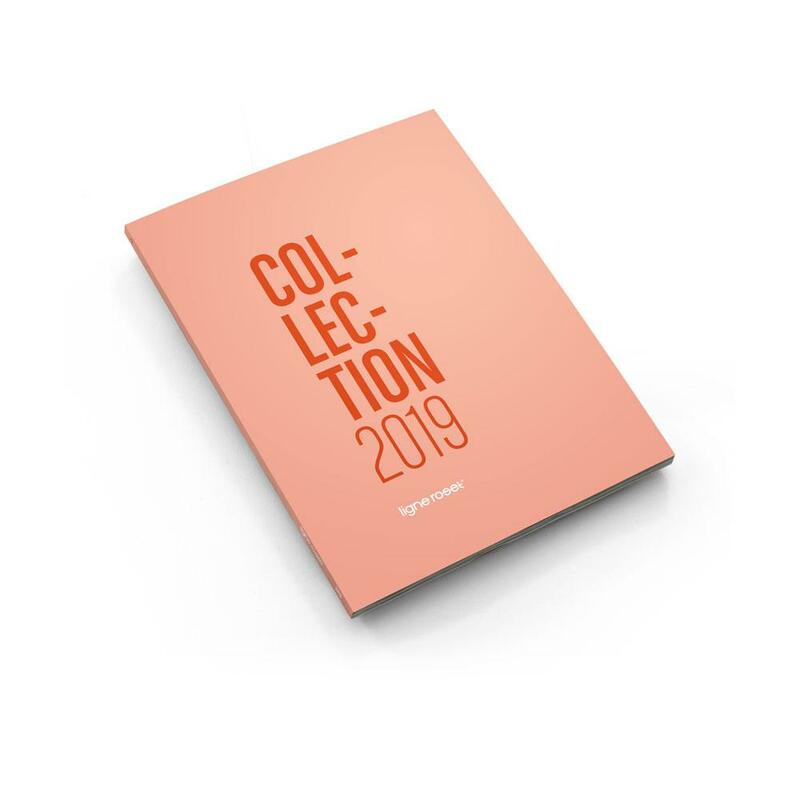 Details of the composition of all covering materials are set out in our retail price list, on our invoices, and on the labels attached to the samples in-store. Ligne Roset works closely with official organizations such as AFNOR, the Centre Technique du Cuir, and the Institut Textile de France. With their co-operation, Ligne Roset has developed a series of tests which are systematically applied to all fabrics and hides before they are accepted into our collection. These tests allow us to establish a wear rating for each covering material, which ranges from 1 to 3 (3 being the highest score) in respect of physical resistance to wear, and A to C (C being the highest score) for appearance as a result of wear. With regard to physical characteristics, most Ligne Roset covering materials are rated 3. In respect of visual characteristics, most are rated B or C. Where materials are rated A, this is usually because of some insurmountable technical aspect which does not permit better results to be obtained (e.g. jacquards, whose resistance to abrasion is reduced by the weaving technique used, or some sophisticated colorings whose resistance to light is by nature diminished). All such information is laid out in the technical documentation which forms part of the price list used by our Ligne Roset retailers. 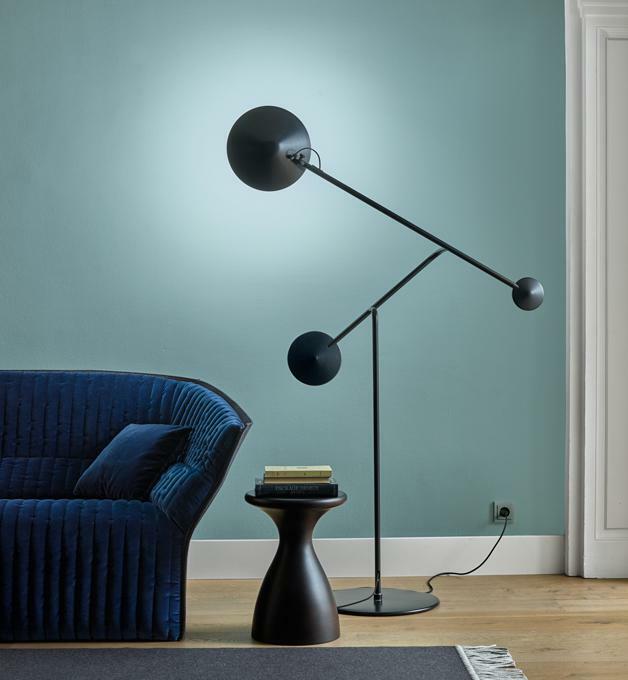 Furthermore, since resistance to light can vary from color to color, a rating for resistance to light is included on the label of all Ligne Roset samples. Where required, the conformity of covers to the stated characteristics will be checked by an independent laboratory, for example, the Institut Textile de France, the Centre Technique du Cuir or the Centre Technique de la Teinture et du Nettoyage. It is vital to make a distinction between cleaning and stain removal. The point of the former is to deal with soiling acquired on a day-to-day basis, whilst the latter is designed to combat accidental stains or spills. This will be carried out in your home by a specialist cleaning company. Do not wait until your upholstery is noticeably dirty: frequent cleaning is a very sensible precaution. You can also vacuum your upholstery regularly, but this should be done very gently. This is possible when the covers in question are removable. The advantage of this is that both cleaning and stain removal are taken care of by a professional – who is advised to close all zippers, protect any Velcro and use a moderate treatment which will be gentle with the parts of the covers which are in polyester quilting or similar. High-quality furnishing fabrics are not generally designed to be washable, so you should always have them cleaned by a specialist. Although certain fabrics in our collection may perhaps be washable, covers made up in those fabrics will only be washable if they are not quilted (consult your Ligne Roset retailer). Even if your covers are washable, you should still have them washed by a professional, as domestic washing machines are unsuitable for the job given their insufficient drum capacity – added to which, there is a risk that a prolonged period in the dryer could cause creasing and ‘halo’ marks. A golden rule: if you are in any doubt whatsoever, consult your Ligne Roset retailer. And for advice on cleaning and stain removal, consult a professional upholstery cleaner. The following is an extract from a document produced by the Centre Technique de la Teinture et du Nettoyage: it was written with a focus on clothing, but can be applied in some cases to upholstery. You might find these pieces of advice helpful, but please bear in mind that they can only be very general since each stain is different, as is each piece of upholstery. Specific advice can only be given by a professional, such as a dry cleaner specializing in upholstery. Similarly, please note that this advice can in no way be construed as instructions and that Roset S.A. can in no way be held responsible should anything untoward happen as a result of following this advice. Before proceeding with stain removal, conduct a trial with the intended product on a non-visible area of the fabric to be treated. More serious cases of staining - e.g. ink, hair dye, adhesive, paint or varnish - should be handled by a specialist, since an attempt to remove them yourself will in most cases render them indelible, even to an expert. You should also bear in mind that certain stain-removing products will also remove the color from your fabric! In general, proceed with caution, with a view to transferring the stain from the cover to your cloth by gentle dabbing with a dampened cloth: do try and resist the temptation to rub, which will only enlarge the stain and cause it to penetrate more deeply, thus fixing it in the fibers of the fabric. Diminish by dabbing with a cloth dampened with a white vinegar solution, diluted 1/3 or 1/4. Place the section of the fabric containing the stain in a container with boiling water. Soak in a solution of water and alcohol. Dab, then rinse (by absorption) as required. Finish with a last rinse with pure water. Once hardened, crease the fabric to break up the wax and remove as much as you can. Lift the remainder by covering with blotting paper and pressing with a hot iron. Treat with a solution of water and white vinegar, as outlined above (see alcoholic beverages). Place an ice cube beneath the gum, pressing hard against the fabric; scratch with fingernail to remove. If traces of gum still remain, treat (carefully!) with trichloroethylene. Treat with warm water mixed with a drop of ammonia. Use a ‘corrector pen’, and proceed just as you would for an ink stain on paper - but check the pen on a non-visible area of fabric first, to see how it affects the color of the fabric. Soak in a solution of water and alcohol, with one or two drops of diluted white vinegar. In the case of red fruits (e.g. cherries, black currants, blueberries), use sodium bisulfate (e.g. strong-smelling white ‘corrector pen’), along with several drops of diluted white vinegar. Soak with White Spirit, sprinkle with absorbent powder (e.g. talc), then brush - or even better, use a vacuum cleaner with a small nozzle. This kind of stain will probably require several treatments. Soak with White Spirit or trichloroethylene, sprinkle with absorbent powder, then brush or vacuum. Once dry, brush to remove any surface particles. Treat with a cold ammonia solution, spread over the stain using the corner of a piece of household soap. Rinse. Use turpentine and absorbent powder. Brush, then vacuum. Use methylated spirits and absorbent powder. Same as for red fruits (sodium bisulfate and white vinegar). Or moisten with white wine, then wait till it takes effect. Every Ligne Roset product in Alcantara or any other microfiber is supplied with specific care instructions. Such fabrics are easy to take care of. Leather is a natural material, with all the characteristics and authentic nuances that one would expect from what was once the skin of a living creature. Ligne Roset works with the foremost tanners throughout the Continent, selecting the best hides in Europe for use on their products. Our selection criteria are so strict that we only accept one hide in every twenty which are destined for the furniture market. We demand that our suppliers carry out stringent physical and quality checks to guarantee that the leather used for your covers conforms to current European standards. Our long experience in working with leather allows us to show off its natural qualities to best effect across all the models in our collection. Our production processes are specially adapted for items upholstered in leather; in particular, cutting and sewing techniques have all been devised especially with leather in mind. Given the taut lines and generous proportions which are characteristic of Ligne Roset models, some stretching of the leather will occur. This is only to be expected, and in no way constitutes a manufacturing fault. Wrinkles on the skin, insect bites, scars, veins, scratches, etc; are all perfectly acceptable, since they are proof of the ‘naturalness’ and the true character of what was, after all, the skin of a living animal. However, any defects which could tinge the hide are eliminated by our strict quality control procedures. Lastly, some color variation is inevitable, since the hide will absorb dyes into its fibers to a greater or lesser degree, depending on the level of natural oils present. Slight shade differences across dye batches are also unavoidable. Therefore, it is quite possible that there will be some difference in color between the items you receive and those on display in-store, between different items in the same upholstery group, or even between different areas of the same seat or chair. Don’t place items upholstered in leather near a source of heat: for example, try and leave at least 0.50m between your seat and a radiator. And of course, protect your leather upholstery from prolonged exposure to sunlight. Vacuum your leather upholstery using the soft brush attachment on your vacuum. If necessary, wipe the arms, headrests, etc. with a dampened cloth. Important: the cleaning instructions shown below do not apply to full grain aniline-dyed hides (since this type of finish cannot be cleaned in any way). The aim of ‘leather care’ is to keep it nourished so as to maintain the level of natural oils, and a humidity of 50-60%. Anything which will cause excessive drying is to be avoided – for example the use of stain-removing solvents, leaving the seat in a room with an excessively dry atmosphere, etc. The least expensive and most effective means of ‘nourishing’ your leather upholstery is ‘savon de Marseille’, a very mild form of soap which nourishes it with natural oils. To remove stains and care for areas which are regularly in contact with skin or hair, you are advised to use the products from the leather care kit which was supplied with your order. Do not rub! Soak stains, then dry off carefully with a very clean cloth. Liquids, food stains and grease/oils should be dealt with gently, using foam of ‘savon de Marseille’ on a clean cloth. Never use any detergent other than the ‘Soft Cleaner’, or ‘savon de Marseille’. Whatever you use, try it first on an area that is not in general view, and leave it quite a while before treating the rest of the seat. A regular wipe over with a damp cloth will lengthen the life of your leather covers. Once ‘Soft Cleaner’ has been used, you can protect your seat by applying the protective cream from the leather care kit with a soft cloth. A corrector pen is also supplied to lift ink or felt-tip stains. Finally, in the case of accidents or more serious stains, consult a leather care specialist. The finishes used by Ligne Roset offer excellent resistance to the various types of impact a piece of furniture can experience in daily use. Enamels and varnishes do not require the application of any substance (wax or polish) to preserve their shine over time. Maintenance should be limited to regular dusting and, on occasion, a simple wipe down with a soft cloth dampened with slightly soapy water, or using a diluted window cleaning solution. If spots appear, act as quickly as possible to avoid any permanent deterioration of the furniture's appearance. All high-gloss enamels are vulnerable to scratches and similar surface damage. They should be cleaned using a diluted common household cleaning product or a window cleaning product, without rubbing. Rubbing with an abrasive cloth will not erase scratches but rather risk making them worse. Once the furniture has been placed in an apartment or house, color variations will occur. This is unavoidable because of the limited light-fastness of the wood and the surface materials. Although Ligne Roset uses high-performance additives in its varnishes to slow down, as much as possible, shifts in the materials’ original color due to light exposure, it is not advisable to expose furniture to direct sunlight or moonlight. Glass and enameled surfaces should be cleaned using a soft cloth and a window cleaning product or a non-abrasive dishwashing liquid. Abrasive household cleaning products and Scotch-Brite or similar sponges must never be used. Spots can be removed using a plastic scraper, but never use a metal object to rub the surface of the glass. Clean with car polish, preferably one without silicone, using absorbent paper; let dry, then buff with a microfiber cloth. If finger marks appear, wipe them with a window cleaning product, and for the most stubborn marks use industrial alcohol (but never denatured alcohol). Spots and fingerprints can be removed using a soft cloth and a window cleaning product. Never use abrasive household products, silverware cleaning products, or Scotch-Brite or similar sponges. Hinges can be adjusted in all three dimensions – depth, width, and height – to fine-tune the doors' movement relative to the main body of the furniture. The height of drawer glides can also be adjusted. After assembly, allow a period of 2 to 3 weeks for the furniture to settle. For maximum precision, the doors may sometimes need readjustment. When moving furniture equipped with feet or height-adjustable legs, never drag it across the floor, especially if the floor is soft (wall-to-wall carpeting, plastic floor covering). Never lift furniture by a lifting mechanism. In general, when repositioning a piece of furniture by several yards or when moving house, it is essential to dismantle the furniture entirely. Ligne Roset products are tested to ensure optimal performance, but it is important to consult the parts list or assembly instructions for information and comply with recommended weight bearing limits. It is essential to follow the mounting recommendations and instructions appropriate to the specific wall or partition materials. Wall-mounting should be performed by a professional. 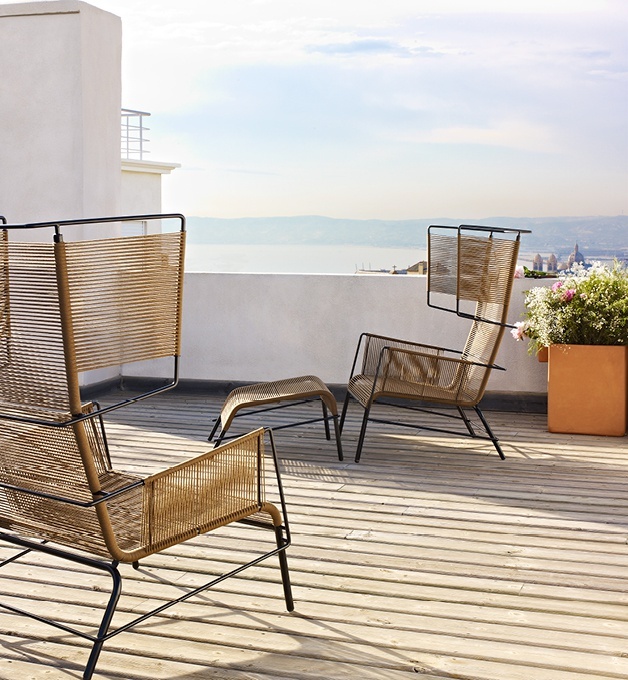 For information regarding your item's warranty, please contact your Ligne Roset dealer.